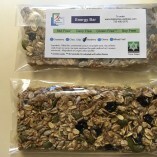 Step by Step Wellness brings you a delicious and nutritious granola bar. 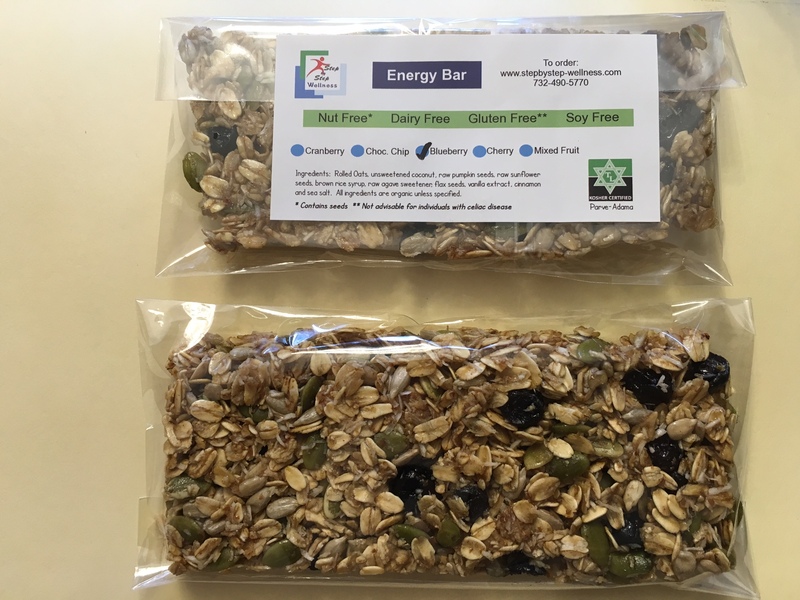 Have this nutritious Energy Bar for breakfast, snack or just put it in your bag for later when you are out late at an activity with your kids or loved ones. By the way… kids love it too! 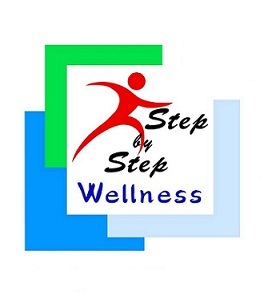 Step by Step Wellness brings you a delicious and nutritious granola bar. 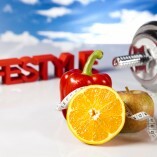 Developed by a Holistic Nutritionist, Larisa Belote, who understands the importance of eating healthy, but at the same time keeping our taste buds happy, our belly’s satiated and our sugar cravings away. 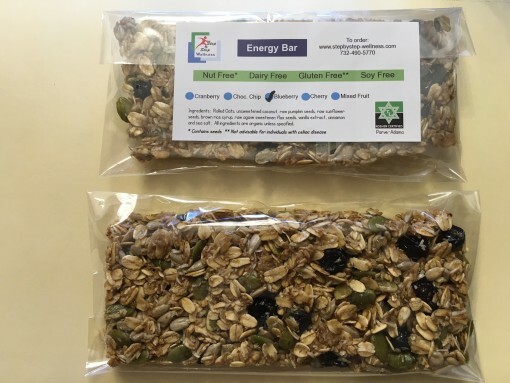 The Energy Bar is full of wholesome organic ingredients such as sunflower seeds, pumpkin seeds, rolled oats and more! 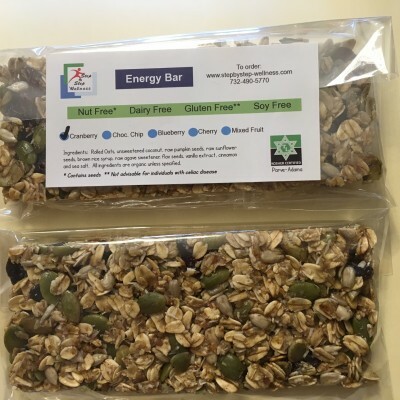 It is Nut Free*, Dairy Free, Soy Free and Gluten Free**. 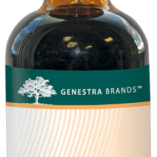 It is also sweetened with natural sweeteners. 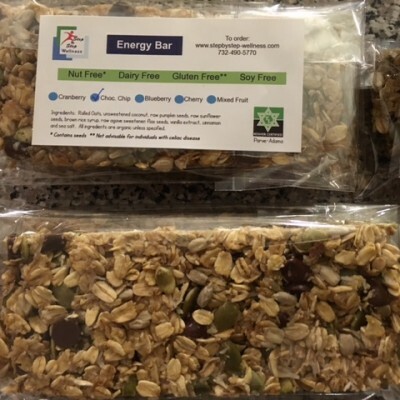 The best part is that the Energy Bar is Raw. 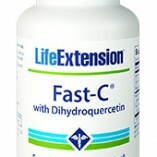 It is dehydrated and all ingredients are never exposed to high temperature thereby leaving all enzymes intact. 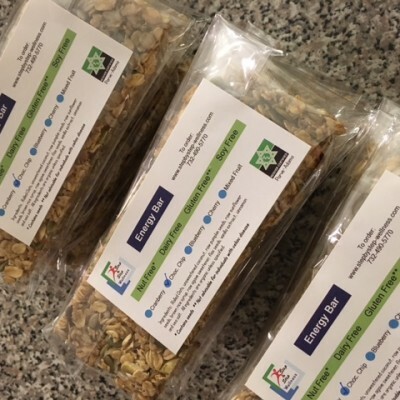 Rolled Oats, unsweetened coconut, raw pumpkin seeds, raw sunflower seeds, brown rice syrup, raw agave, flax seeds, dried blueberries, cinnamon and sea salt. *Contains seeds. 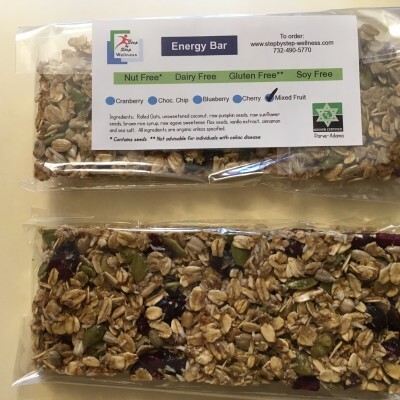 The Energy Bar contains no nuts, but is made in a facility that manufactures other products containing nuts. Storage instructions: In a cool dry place will keep for up to 6 weeks. 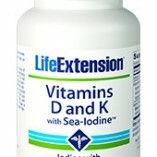 In refrigerator keeps fresh for up to 3 months.